Burn: Book 3 of the Pure Trilogy by Julianna Baggott was released last week. Read our interview with Julianna Baggott on Pure. Golden State: A novel by Identity Theory contributor Michelle Richmond was also published last week. 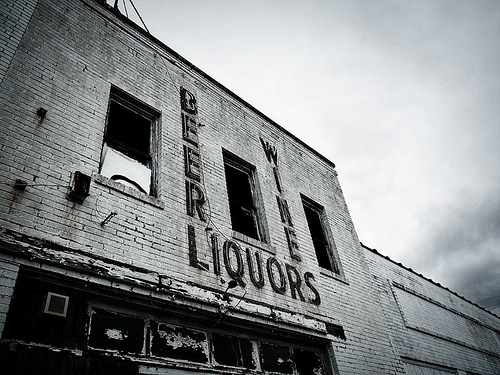 Abandoned liquor store photo by Joseph Novak. Posted in Book Rate and tagged Chris Abani, Julianna Baggott, Kyle Minor, Michele Filgate, Michelle Richmond, Monday's Margins. Bookmark the permalink. Trackbacks are closed, but you can post a comment.